This necklace is available in two sizes. The silver wire wrapÂ is pure 925 Sterling. 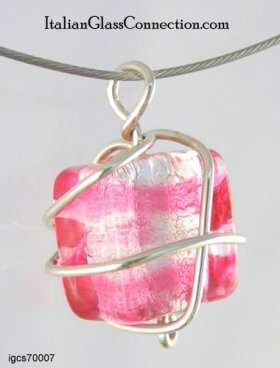 Bead color: Pink & Clear on Silver Leaf. The handmade Murano glass bead measures 10mm square. The Nylon-Coated Stainless Steel Wire is both comfortable and durable.